You may never heard of their music on your local radio, but these three-piece Irish band definitely will make the radio airwaves much better when their songs hit it. The band from Dublin, Ireland are releasing their second single after “We Cry” which landed at the top 20 of the UK Singles Charts and received good commentaries from music critcs. 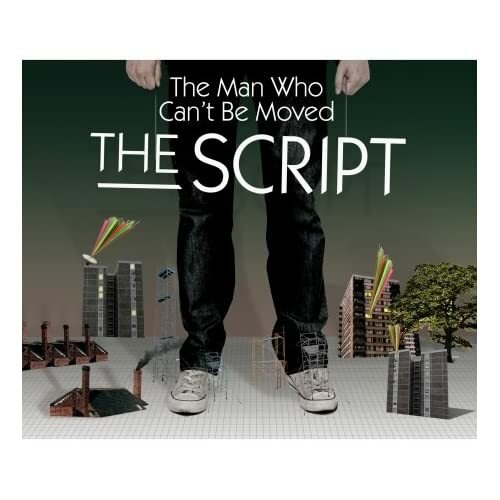 The new single titled “The Man Who Can’t Be Moved” was released last July 25, 2008 in the UK. The single with accordance to the release of their first major album on August 11, 2008. The single features the undeniably perfect voice of Danny O’Donnoghue, lead singer of the band. The song features a melodramatic tune unlike their previous song “We Cry” which had an upbeat, RnB infusion that made the song a twist. The lyrics are absolutely amazing and the arrangement was just applauding. This band may have a long way to go to get to the top but with the release of this song, they’ll probably get a recognition to their astounding efforts and hard-earned fame. The song is really worth listening. I hope that it will get the recognition that they truly deserve. The band with their suitcases will perform in Malaysia for the 2008 MTV Asia Awards and will feature some of their songs and will probably get the chance to open up fans from Asia and the rest of the world. The band maybe far from the fame that U2, Coldplay, OneRepublic had established but sooner and sooner it’ll find its way to the top of the charts, the radio and even record bar sales across the UK, and probably the world. This entry was posted on August 1, 2008 at 6:43 am and is filed under Single Reviews with tags Single Review, The Man Who Can't Be Moved, The Script. You can follow any responses to this entry through the RSS 2.0 feed. You can leave a response, or trackback from your own site. I just found the band and I totaly love their songs. I’m totally goin to buy their album when it hits stores August 11!!! oh man, i lurve ths song! im buyin this thang. nice song! i like it!